Chennai, the capital of Tamil Nadu, is known as the gateway to south India. Despite being an important city for manufacturing, healthcare, and IT, Chennai has managed to retain a spaciousness that’s lacking in other major Indian cities. It’s a sprawling and busy, yet conservative, city with deep traditions and culture that are yet to give way to the growing foreign influence there. This Chennai guide and city profile are full of travel information and tips. Chennai was originally a cluster of small villages until English merchants of the British East India Company selected it as the site for a factory and trading port in 1639. The British developed it as a major urban center and naval base, and by the 20th Century, the city had become an administration hub. In recent years, Chennai has achieved booming industrial growth across a range of sectors, encouraged by the city’s favorable infrastructure and availability of space. Chennai is located in the state of Tamil Nadu, on the eastern coast of India. Chennai uses UTC (Coordinated Universal Time) +5.5 hours. Chennai does not have Daylight Saving Time. Chennai has a population of about 9 million people, making it India’s fifth largest city after Mumbai, Delhi, Kolkata, and Bangalore. Chennai has a hot and humid climate, with summer temperatures in late May and early June often reaching an extreme 38–42 degrees Celsius (100–107 degrees Fahrenheit). The city receives most of its rainfall during the northeast monsoon, from mid-September to mid-December, and heavy rains can be a problem. The temperature decreases to an average of 24 degrees Celsius (75 Fahrenheit) during winter, from November to February, but doesn’t drop below 20 degrees Celsius (68 Fahrenheit). Chennai International Airport is very conveniently located only 15 kilometers (9 miles) south of the city center. It’s well connected in terms of transport. Alternatively, Viator offers hassle-free private airport transfers from $23. They can be easily booked online. Three-wheeled auto rickshaws offer the easiest way of getting around but unfortunately, fares are relatively expensive and rarely charged as per the meter. Foreigners are invariably quoted excessively high rates (often more than double) and should be prepared to negotiate hard before the journey. The taxis in Chennai are known as “call taxis”. These are private cabs that need to be phoned in advance and cannot be hailed from the street. It’s a good idea to hire one of these taxis to go sightseeing, as attractions are very spread out. Buses are cheap and cover most of the city. There’s the local train service as well. 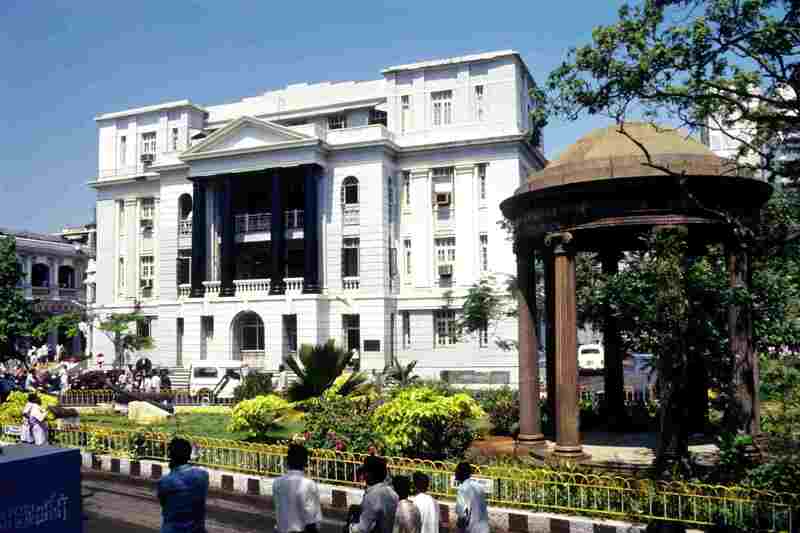 Unlike some other cities in India, Chennai doesn’t have any world-famous monuments or tourist attractions. It’s a city that requires time and effort to really get to know and appreciate it. These Top Places to Visit in Chennai will give you a feel for the city’s distinctive culture and what makes it special. Unlike some other cities in India, Chennai (previously known as Madras), doesn’t have any world famous monuments or tourist attractions. Instead of quickly leaving a memorable first impression, Chennai is a city that requires time and effort to really get to know and appreciate it. It’s a city that requires you to explore below its surface and delve into its distinctive culture. These places to visit in Chennai will give you a feel for the city and what makes it special. Try and be there in mid January to experience the Pongal festival as well. Chennai’s historic neighborhood of Mylapore is often referred to as the soul of the city. One of the oldest residential parts of the city, predominantly inhabited by Brahmins, it’s full of culture. There you’ll find Chennai’s most impressive temple, the 17th-century Kapaleeshwarar Temple dedicated to Lord Shiva. Other top attractions include the neo-Gothic style San Thome Cathedral, originally built by the Portuguese, and the serene Ramakrishna Mutt Temple. Tamil poet and saint Thiruvalluvar, one of the icons of Tamil literature, is believed to have been born in Mylapore way back in the 1st century BC. 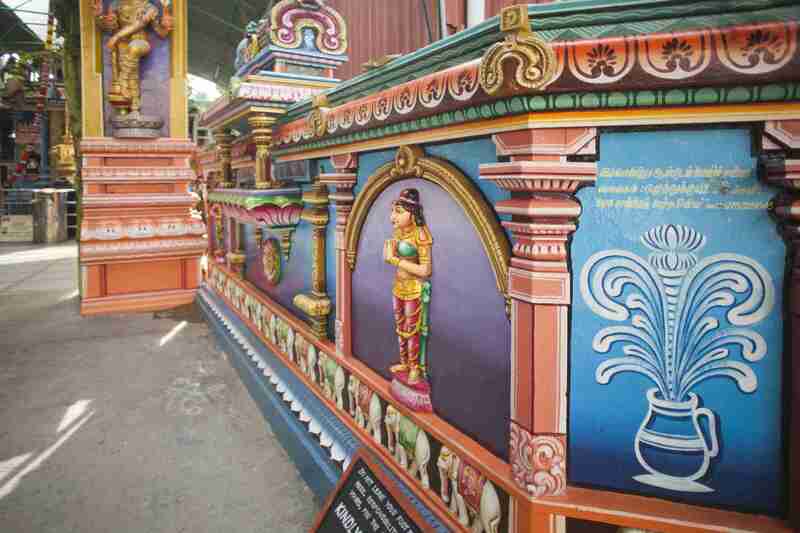 Storytrails conducts an insightful walking tour of Mylapore. 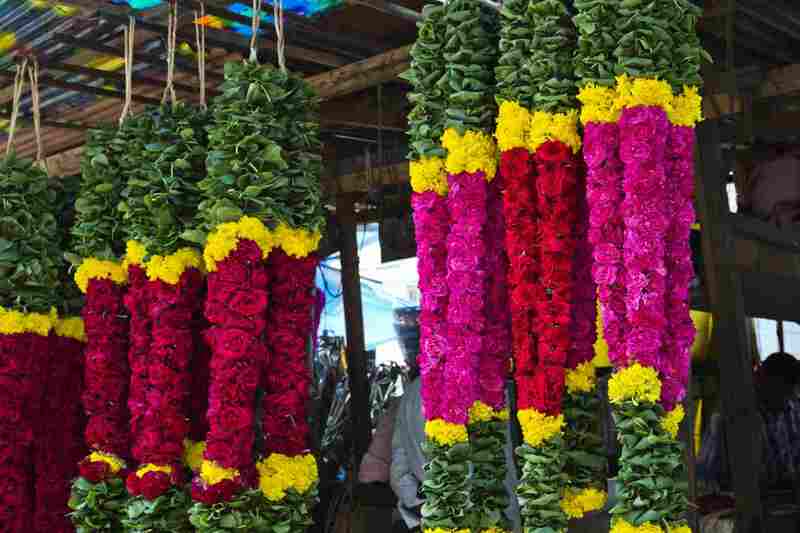 The annual Mylapore Festival is held in early January, just before Pongal. A legacy of the British East India Company, which completed constructing it in 1653, Fort Saint George is now home to the Tamil Nadu Legislative Assembly and Secretariat. It also contains the grand Saint Mary’s Church, which is one of the oldest surviving churches built by the British, and the Fort Museum. The museum displays a range of military memorabilia, relics, paintings, and artifacts from the colonial period. It’s open daily, except Fridays, from 9 a.m. until 5 p.m. The entrance fee is 15 rupees for Indians and 200 rupees for foreigners. Children under 15 years of age are free. 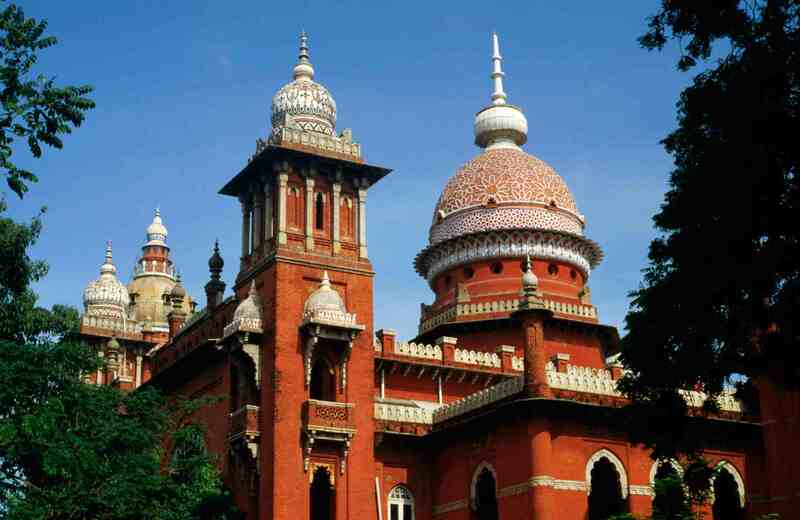 Located just outside Fort Saint George, in George Town, the massive Madras High Court is one of the largest judicial buildings in the world. Built in 1892, it has distinctive red Indo-Saracenic architecture, with magnificent painted ceilings and stained-glass doors. It’s possible to wander through the court and even sit in on a session. The congested lanes of George Town are occupied by some fascinating street stalls and markets, including vibrant vegetable, flower, and spice markets. This area, which used to be known as Black Town during the colonial period, was settled by locals who came to serve and trade with the Britishers in Fort Saint George. It was the first settlement of the city of Madras, which began its expansion from there in the 1640s. It’s noisy, chaotic, and a photographer’s delight! 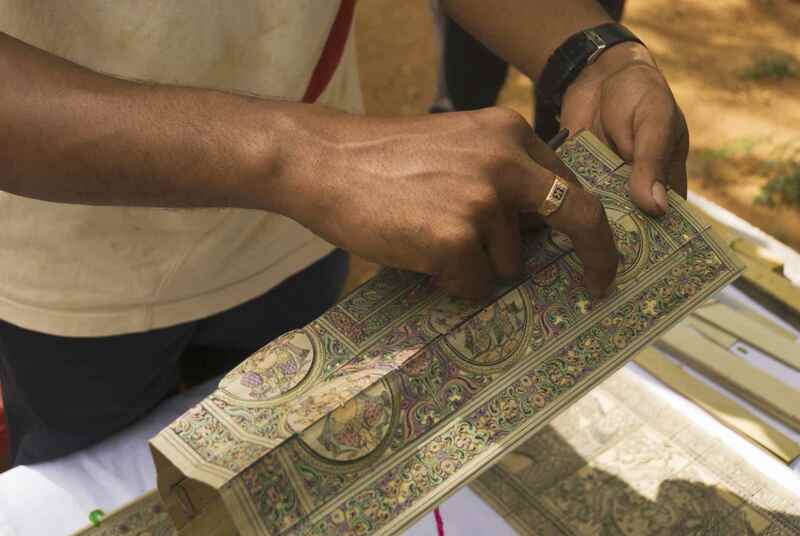 Explore the area on this Georgetown Bazaar Walk offered by Chennai Magic or Bazaar Trail Walk offered by StoryTrails. 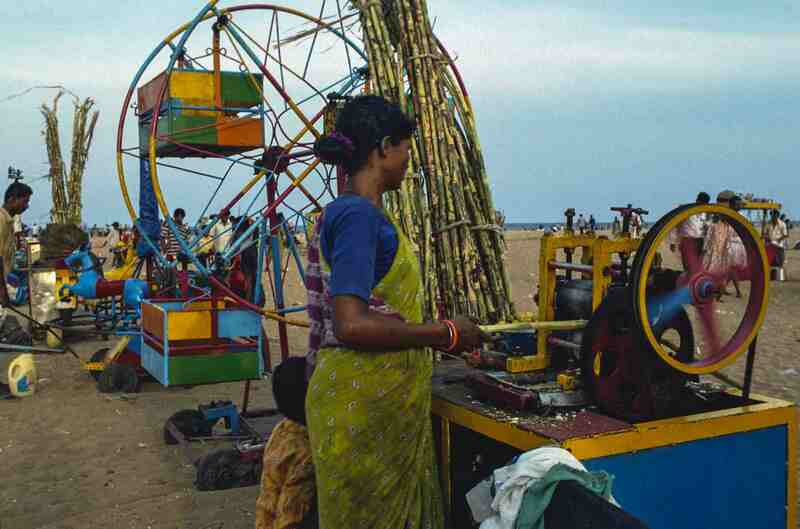 For a real Indian beach experience, head to Marina beach at sunset and soak up the carnival-like atmosphere, with amusement rides and snack stalls. The beach, which is the longest urban beach in India, starts from near Fort Saint George and runs south for 13 kilometers (8.1 miles). It’s dotted with numerous statues and monuments and is a popular hangout place for locals. Tens of thousands of people visit it daily. The lighthouse, at the southern end of the beach, was opened for tourists in late 2013. Do note that bathing and swimming aren’t permitted as there are strong currents. 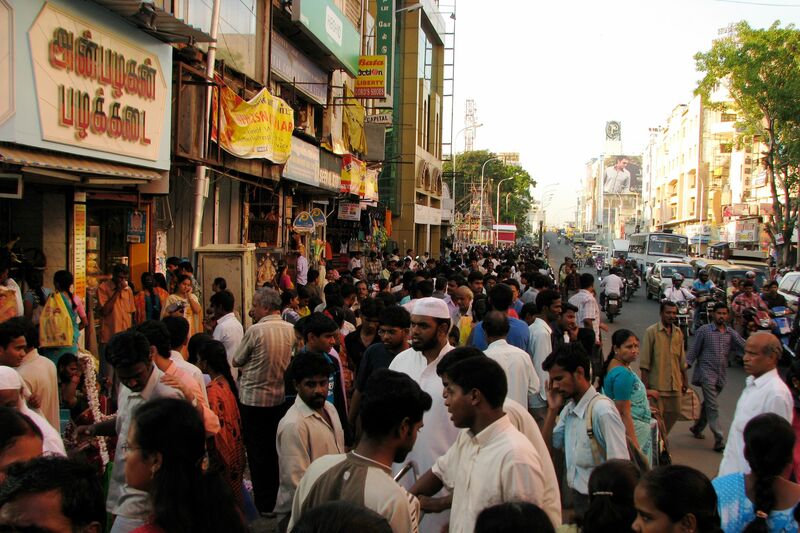 lace, chaotic T. Nagar attracts hordes of shoppers hunting for discounts on everything from to saris to gold. On weekends during the festival season (from November until the end of January) the crowds can swell to an astonishing 2 million people! Ranganathan Street is where most of the action happens. 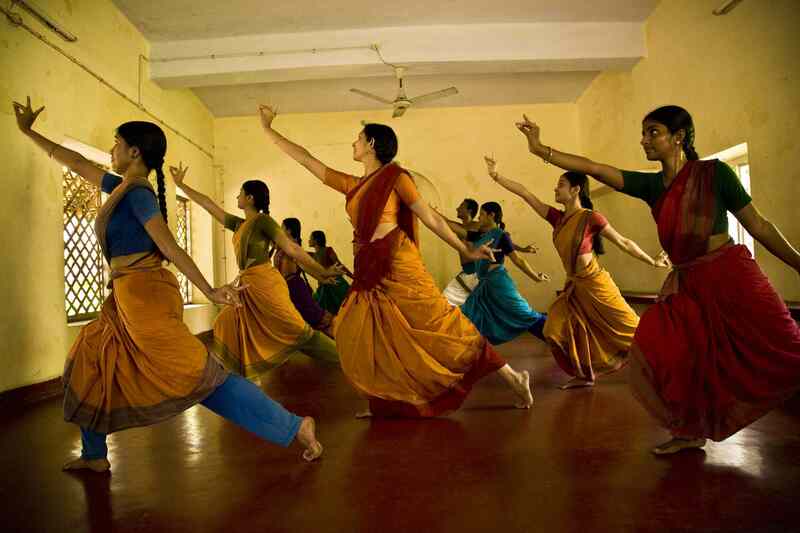 Performance venues in the neighborhood (such as Krishna Gana Sabha, Vani Mahal and Bharath Kalachar) also host many famous classical musicians during the month-long Madras Music Season, from mid December to mid January each year. India’s largest artists’ commune, Cholamandal Artists’ Village, was set up in 1966 in Injambakkam village on the southern outskirts of Chennai. What’s really remarkable about it is that the artists are self-sustaining and have not received any financial assistance — they purchased their own land and built everything themselves including their houses, studios, gallery, theater, and workshops. The village is renowned for having pioneered the Madras Movement of Art, which brought modern art to south India. You’ll get to see an extraordinary collection of paintings and sculptures there, along with the artists at work. The entry fee is 20 rupees per person, open from 9.30 a.m. until 6.30 p.m.
Kalakshetra is a cultural academy dedicated to the preservation and teaching of Indian art forms, with a focus on bharatanatyam, carnatic vocal and instrumental music, the visual arts, traditional crafts and textile design, history and philosophy. Built on 100 acres of land near the sea in southern Chennai, it’s a wonderful place to visit if you’re interested in the arts and culture of south India. There’s a craft center and museum on the premises, and a heritage walk is also offered to groups (1,500 rupees per person). The entrance fee is 100 rupees for Indian residents and 500 rupees for foreigners. It’s worth catching one of the free evening performances held at the auditorium on show days. Dedicated to revered spiritual teacher Swami Vivekananda, Vivekananda House is maintained by Sri Ramakrishna Math and houses a permanent exhibition on his life and Indian culture. There’s a meditation room on the second floor where the Swami stayed after his return from the west in February 1897. The distinctive Victorian-style building is more than 150 years old and was originally built to store ice. It was subsequently purchased by Biligiri Iyengar, an advocate of the Madras High Court, who named it Castle Kernan. 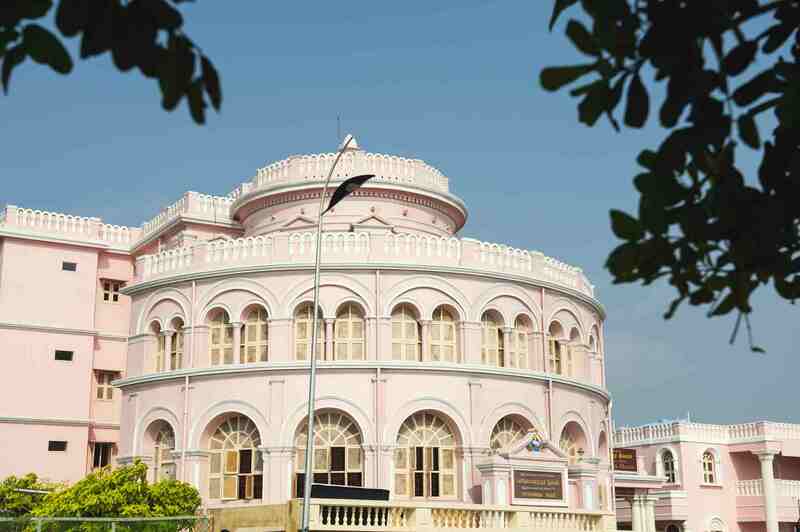 Vivekananda House is located opposite Marina Beach in Triplicane. It’s open from 10.00 a.m. until 12.30 p.m. and 3.00 p.m. until 7.15 p.m, daily except Mondays. Tickets cost 20 rupees for adults and 10 rupees for children. 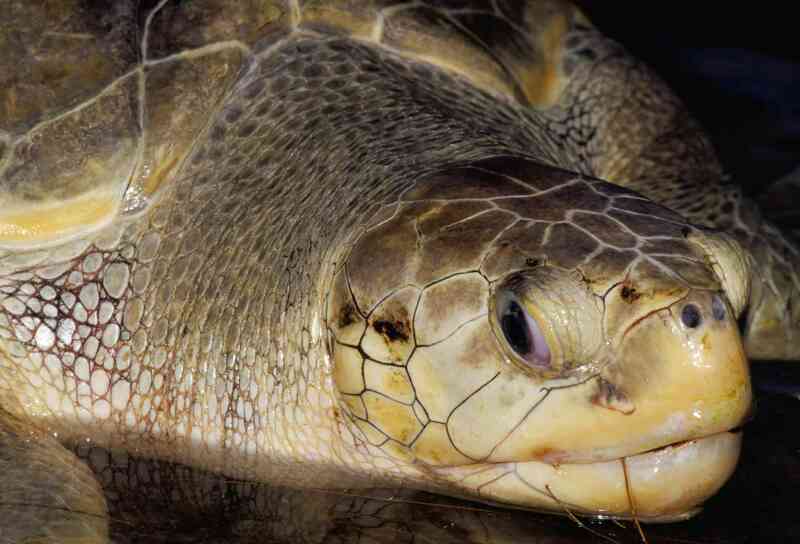 Did you know that the coast of Chennai is a breeding ground for the endangered Olive Ridley turtle? During nesting season, from December to April each year, large numbers of turtles come ashore to lay their eggs. The hatchlings are left to make their own way into the sea and many of them die. In order to increase their chances of survival, volunteers of the Students Sea Turtle Conservation Network (SSTCN) conduct walks to collect their eggs and take them to a hatchery. The walks happen on Friday and Saturday nights, starting at 11 p.m, from Neelangarai beach to Besant Nagar beach. Members of the public who are interested in conservation are welcome to join in. It’s also possible to see hatchlings being released in the evenings during March and April. There are two amusement parks located a short distance from the city — the amusement park at VGP Golden Beach, and MGM Dizzy World. The five-week Madras Music Season in December and January is a big cultural drawcard. The annual Pongal festival also happens mid-January. However, Chennai, unfortunately, lacks the cosmopolitan nightlife of other Indian cities. There are wonderful places to visit when you’re near Chennai. The tourist circuit of Chennai, Mamallapuram and Kanchipuram is often referred to as Tamil Nadu’s Golden Triangle. Hotels in Chennai are generally less expensive than in cities such as Mumbai and Delhi. Mid-range hotels also provide great value for money. And, if you want to try something different with a personal touch, stay at a bed and breakfast! Chennai is a relatively safe destination that experiences less crime than most other major Indian cities. The main problems are pick-pocketing and begging. Beggars specifically target foreigners and can be quite aggressive. Avoid giving any money because it will only attract them in swarms. The unruly traffic in Chennai is another problem to be aware of. Drivers often drive in an undisciplined manner, so extra care should be taken when crossing the road. As Chennai is also one of the most conservative major cities in India, it’s important to dress in a manner that respects this. Revealing or tight-fitting clothes, both on men and women, should be avoided even at the beach. Lightweight clothes that cover the arms and legs are best. Chennai’s climate requires special consideration to be given to health during the summer and monsoon season. Dehydration and other heat-related illnesses are a concern in the extreme heat. Flooding during the heavy monsoon rains also increases the risk of bacterial diseases such as leptospirosis and malaria. Therefore additional monsoon season precautions should be taken in Chennai. Do visit your doctor or travel clinic well in advance of your departure date to ensure that you receive all the necessary immunizations and medications. As always in India, it’s important not to drink the water in Chennai. Instead, buy readily available and inexpensive bottled water to stay healthy.